The Freeman family create jewelry that is a balance of unique design, inspiration from the natural environment and refined sophistication. The combination of those elements takes shape into the jewelry we proudly present to you. 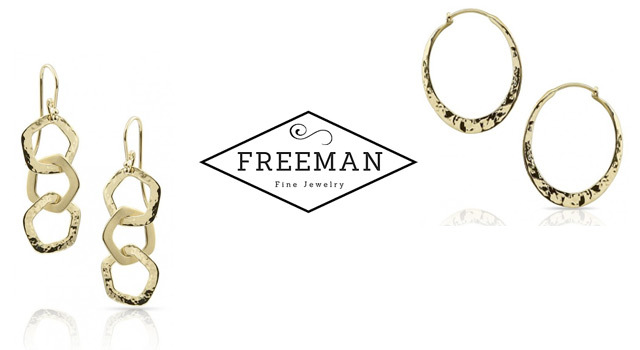 J&S Freeman 14kt Yellow Gold Dangle Earrings.